In most cases when we purchase products we rarely think of its life shelf. Not only because it hasn’t occurred to us, but we place value on the money we spend and would like to continue to see the value until it’s deplenished. However, some items, especially household items tend to have an expiry date on them and if not thrown away may arise health issues and such. Well, I put together 16 things you didn’t know had an expiry date. 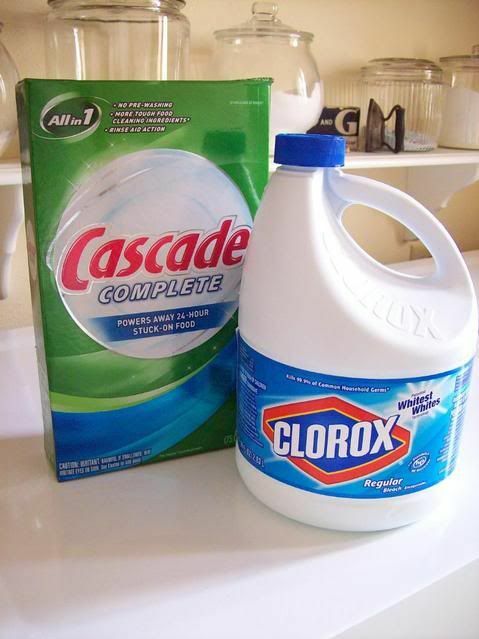 Did you know bleach and other detergents have a shelf life? Yup! They do. After a while, they lose their effectiveness and may no longer clean your clothes properly. Bleach detergent can lose it’s strength after 6 months when open; it should be stored between 50°F and 70°F, don’t worry it’s not harmful; it just won’t work like how it use to. Mattress becomes soil with sweat, body fluids and even food and blood. This overtimes make the mattress smelly and full of bacteria and germs. Not to mention it may over time accumulate dust mites and bed bugs. After sleeping on a mattress for awhile, it will become soggy and causes back and neck pain. This may cause you to feel tired and foggy when you wake up. Try flipping your mattress and cleaning it with Lysol disinfectant. Back home we actually sun the mattress on each side. This does actually help. Scientific research has concluded that pillows should not be used more than two years. 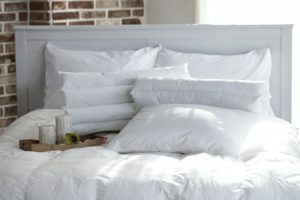 Pillows attract dust mite and may contain bugs droppings. After awhile the pillow may become soft and causes neck pain which may also affect your back pain. Power strips can last from 1 to 2 years because it only can be used to a certain capacity. This, I had no idea of. I didn’t think something like a power strip can expire. Cheap and overwork power strips may cause a fire hazard and use more energy in the house. Watch out for power strips that get discoloured and or too hot to touch. 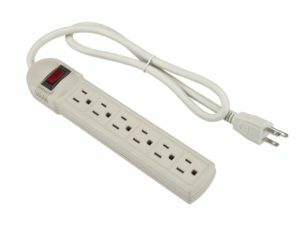 Only buy surge protectors and power strips that are approved with a UL or OSHA rating. Your child’s car seat does have an expiry date and can last 6 to 10 years. It is made from a certain type of material that expand and contracts after a few years, due to temperature change in the car. 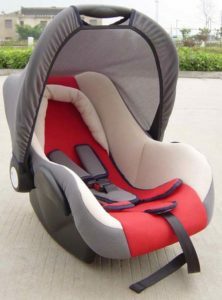 This allows the car seat to loses its shape and no longer protect the child. Also, car seats over time develop dust mites and bacteria. Kids often eat, cough, sneeze, vomit and much more in their car seat. Hence, try not to buy a used one. Sunscreens are only good for 2 years. After a certain time, they lose their effectiveness. If you live in cold regions, you may not need your sunscreen year round. 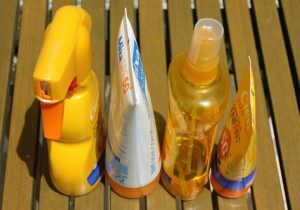 Some sunscreens may not carry an expiry date, so just beware of the date of purchase and toss it after a few years. Makeup shouldn’t be used for more than 6 months. Brushes may contain bacteria and cause bumps and rashes. Try to wash your brushes every 3 months or so. Oil free foundation last 1 year. Mascaras last 3 months, believe me when I say they stop working well and eventually dries up. If you don’t want to catch a pink eye, or any eye infections beware of this and change your mascara. Lipstick can last 2 to 3 years after awhile, it dries up, if left open it dries quicker. After two years the plastic bottle can break down and slowly leaks chemical into the bottle. 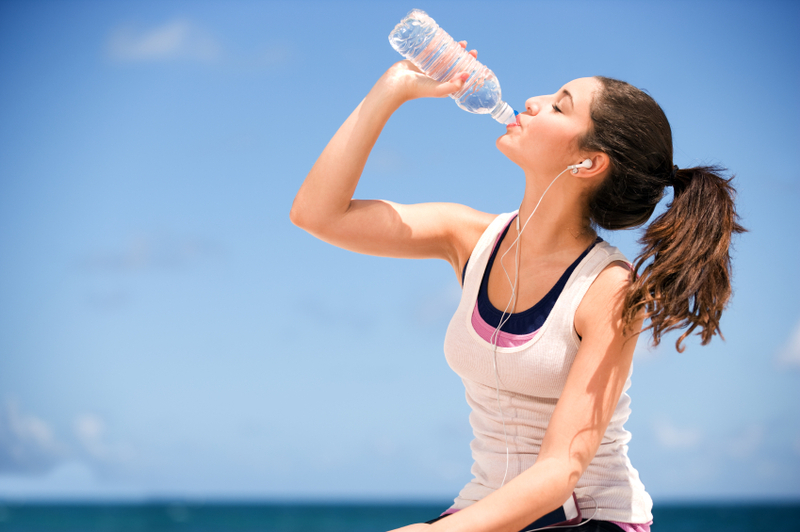 Hence, digesting expired bottled water may have serious effects. Bathing Sponge/Shower Pouf after while accumulate bacteria and breed fungus and mold. Sponges and Rags usually last 2 weeks while the shower pouf my last 2 months. Back home in Jamaica, we use to boil our rags or pour hot water on it when it becomes slimy with soap residue. 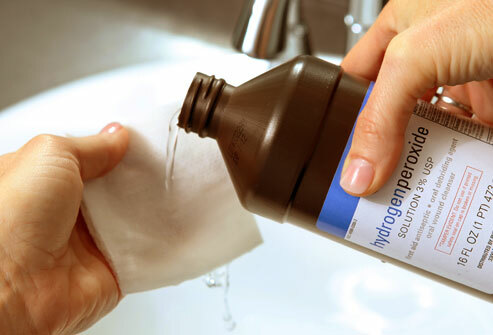 This will help to kill the bacteria and fungal/mold that may grow over time. I think this is an obvious one. It’s called a disposable razor for a reason. 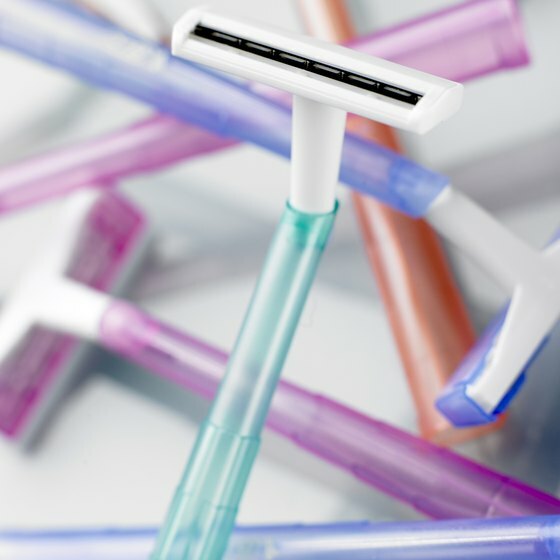 (Wink) When a razor loses its purpose, it becomes dull, builds up bacteria and causes razor burns and bumps. Try to replace it every week. 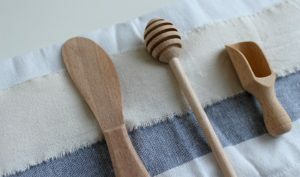 Wooden Cutlery is more prone to bacteria/germs than metal. The wood rotten and may develop mold and become soft and dark over time. Wooden spoon needs to be replaced over time, do remember to ensure it drys properly before putting it away, and make sure it is stored currently. Yes, potatoes do have a shelf life of course. When stored correctly it can last for 2 to 3 months. 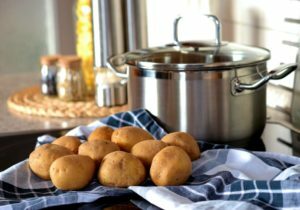 Potatoes are special food that must be stored properly at the right temperature. What happens is, potatoes contains solanine a toxic chemical that can be very dangerous and deadly in spoiled potatoes. Try not to store in too warm, overexpose to the sun, or store near other vegetables that may increase spoilage (like onions). You will notice this when it starts to sprout. Am I the only one guilty of wearing a bra for more than one year. Well according to research bras should not last for more that 1 to 2 years. After a while, it loses it shapes and elasticity. Have you ever noticed that the bones become loose and tend to fall out Yup, that’s a sign that it needs to be thrown away. 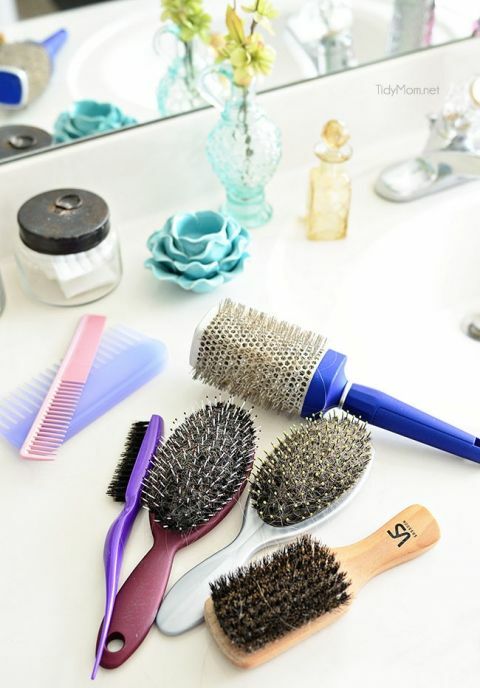 Did you know that your hairbrush can expire? Unfortunately, it does. This is new to me because I have had hairbrush for years. An hairbrush shouldn’t last for more than a year unless it is the boar bristle which can last 7 to 10 months. Brushes should often be cleaned at least once a week. 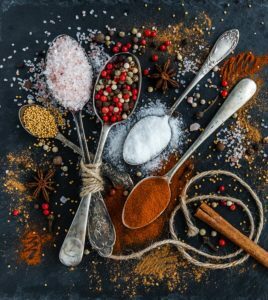 Some spices may last up to 3 years while some last less than that, like ground spices which should last for no more than 6 months. After awhile they lose their taste, and your food won’t taste the same. While some of these may not be harmful, it is still useful information to have. Remember we are responsible for protecting our family so we have to be informed.